I want to bury my rose tree bush for the winter in my vegetable garden. How deep? How much soil over it? The depth of that soil? How far back do I prune the branches? To the first full 5 leaf stem, but back drastically, like I do my regular rosebush? Other mulch for it? Any other advice? I want to bury my rose tree bush for the winter in my vegetable garden. Sounds like a great place to do so. How deep? Dig a trench 12 to 18 inches deep. How much soil over it? Once you have the 12 to 18 inch deep trench. Lay the pruned up rosebush into it. Fill to the gardens soil surface and mound another 6 inches. Mulch over the top of the mounded soils too and place some sort of marker there so as not to forget where the rose is. The depth of that soil? See above note. How far back do I prune the branches? 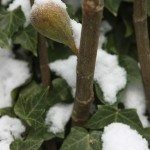 Prune back the canes on the rosebush to about 6 inches. Keep in mind that tree roses are grafted roses. I will provide a link below to an article you should read on that! 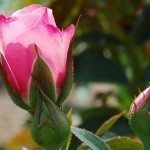 Very important information to know about tree roses in the article! To the 1st full 5 leaf stem, but back drastically, like I do my regular rosebush? See note above. Other mulch for it? 2 inches of mulch should be fine. Any other advice? Give the article below a read, it will be helpful so that you may enjoy your tree rose for many seasons to come.